DAVE Chappelle will finally explain why he walked away from a $50 million TV deal — to Oprah, of course. The stand-up comic who made headlines last year when he suddenly and mysteriously quit his Comedy Central show in the middle of filming its third season is expected to explain what happened this Friday in a pre-taped interview with Oprah Winfrey. Coincidentally, Chappelle once starred in a famous comedy sketch in which he fathered Oprah's baby and quit his job, assuming he'd be set for life. While it's not his first interview since ending " Chappelle's Show" — Time magazine tracked him down in South Africa last year — it will be the first time Chappelle has appeared on TV to talk about what happened. 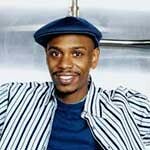 At the time, Chappelle denied reports that he had suffered some sort of mental breakdown or drug addiction and said he had gone to Africa simply to purify himself and to do some soul searching.